Once you have laid the foundations of a solid outdoor space branding, it’s important to maintain it. Our hedge maintenance service means that one cut and shaped, your hedges will stay neat and trim to reflect your company’s professionalism. We offer a regular service for hedge trimming, which means you know when we will be coming and can depend on yourself or your clients looking at ‘the same hedge’ every time they are on one of your properties. Whether your hedges need a simple prune back or a full restyle, we can assist with design and maintenance to ensure your brand is reflected, as well as being low maintenance. Informed about the legalities surrounding hedge cutting and animal welfare, we can create a cutting and pruning calendar to protect the species in your establishment’s natural environment. Hedge maintenance services include pruning, strimming, rejuvenation and planting and can be dependent on the type of hedge you have. 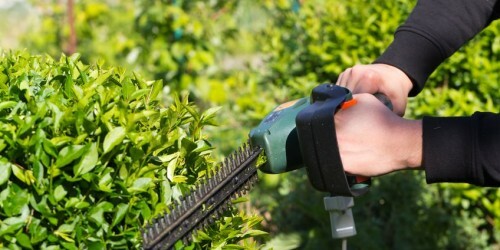 Our experts can advise on how to create a manageable schedule for your hedges.